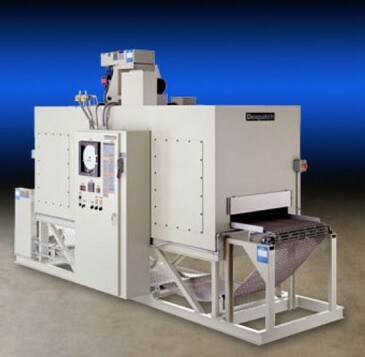 Ontario Ovens Inc. provides a wide selection of industrial ovens designed to meet a variety of industrial applications. 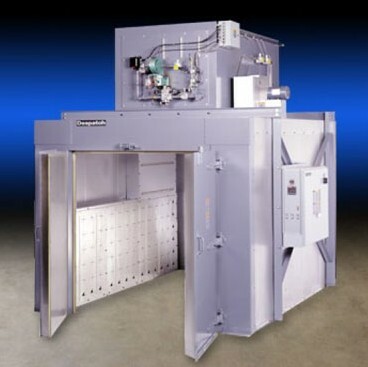 Curing ovens, drying ovens, annealing ovens are just some of the many industrial uses. 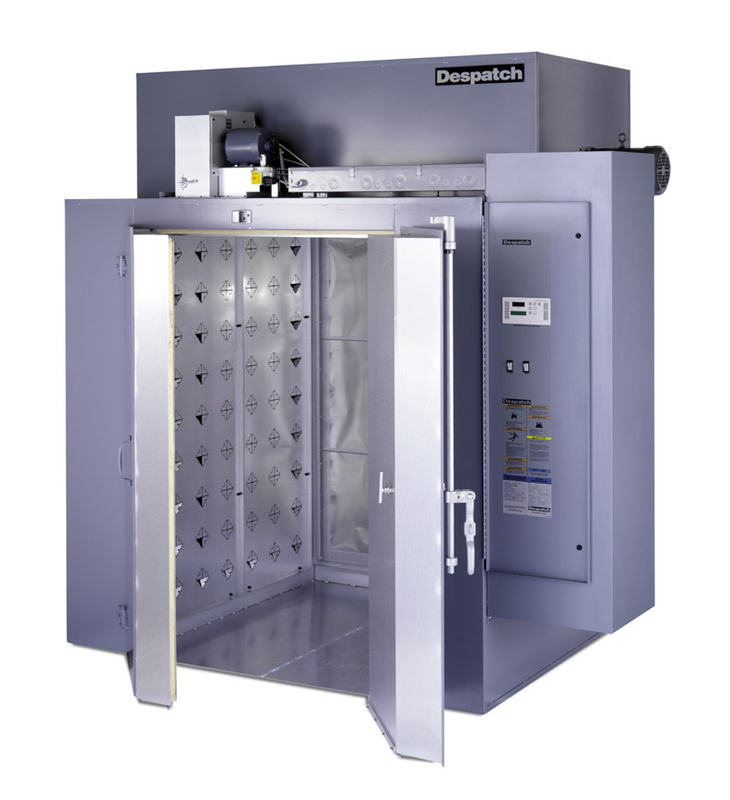 Available in a variety of configurations from floor standing batch ovens to large capacity walk-in and conveyorized systems, with sizes from 9 to 1800 cubic feet. All our industrial ovens feature a mild steel interior, digital temperature control, over-temperature protection, adjustable louvers for fine tuning of airflow, full parts warranty, & toll free Immediate Response Help Line for all your parts, service, & trouble-shooting needs. The table below gives a brief description of some of the industrial ovens available. Click on an image or link for more details! Typical applications include aging, bonding, curing, drying, finish baking, heat treating and burn-in. 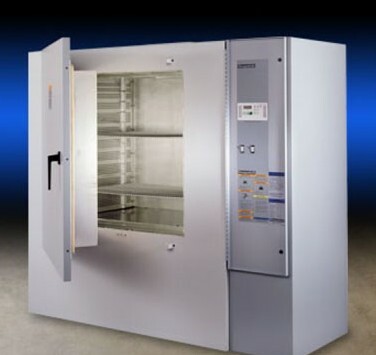 The TF truck-in/walk-in industrial batch oven is designed for use with flammable solvents. Typical applications include aging, bonding, curing, drying, finish baking, heat treating and burn-in. Design, manufacturing, quality, and innovation ensures industrial ruggedness, excellent process control, and dependable operation. 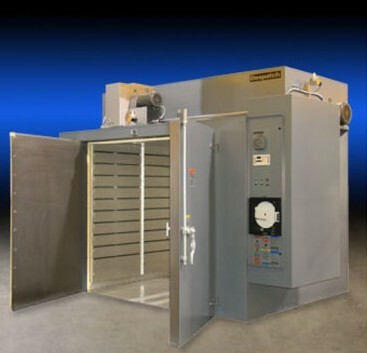 The TA truck-in/walk-in industrial oven is designed for industrial process versatility and dependability. Typical industrial applications include aging, bonding, curing, drying, finish baking, heat treating and burn-in. Design, manufacturing, quality, and innovation ensures industrial ruggedness, excellent process control, and dependable operation. 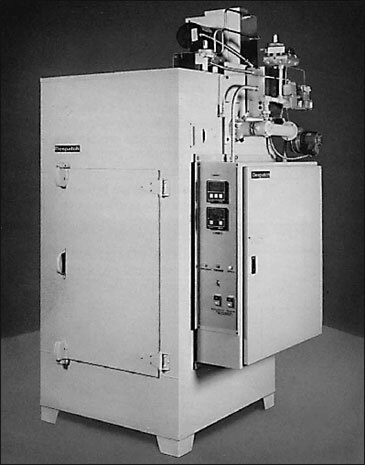 The TA industrial oven is ideal for applications involving tight tolerances that do not include the use of any flammable solvents or volatiles. Unobstructed sidewalls to permit side-by-side installation..
High volume vertical down airflow for superior temperature.. 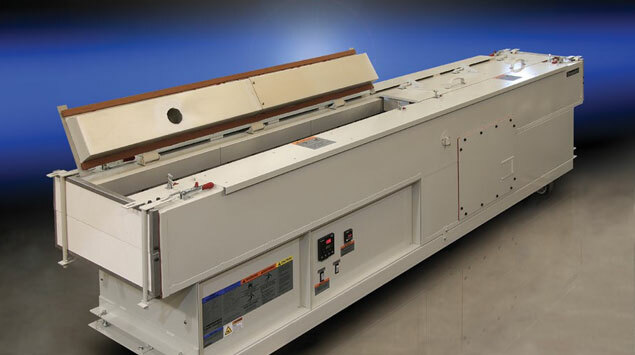 Eight standard models with conveyor widths of 18" to 36"
Well-suited for heating long and narrow loads such as tubing and extrusions.. If you have any applications in which the size of the load or volume of production varies substantially, the optimal solution would be using Batch process. 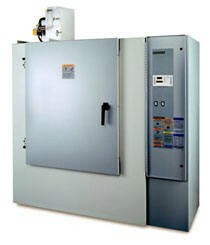 Industrial ovens are also ideal for situations that require a high degree of flexibility in terms of process variables such as temperature or dwell time. Ontario Ovens can provide you with a wide range of industrial ovens designed to accommodate a variety of load sizes and production volumes.